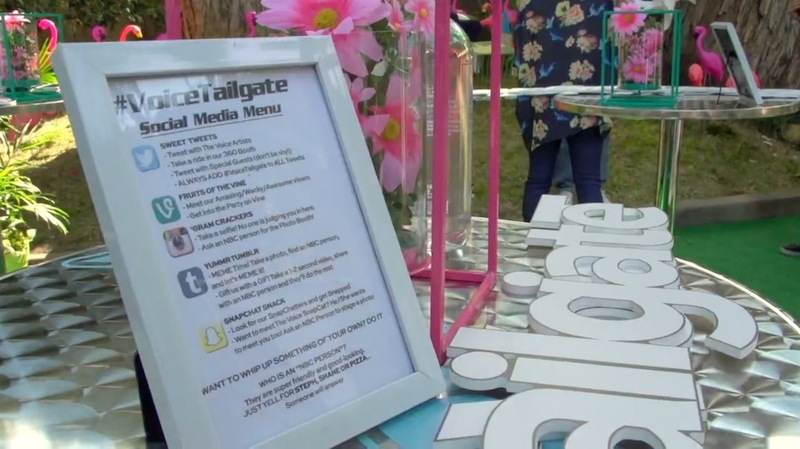 In late April, NBC introduced the social pre-show #VoiceTailgate for its music show, The Voice. The pre-show is set up as a social media party for contestants, coaches and well-known guest artists such as Gwen Stefani and other celebrities. 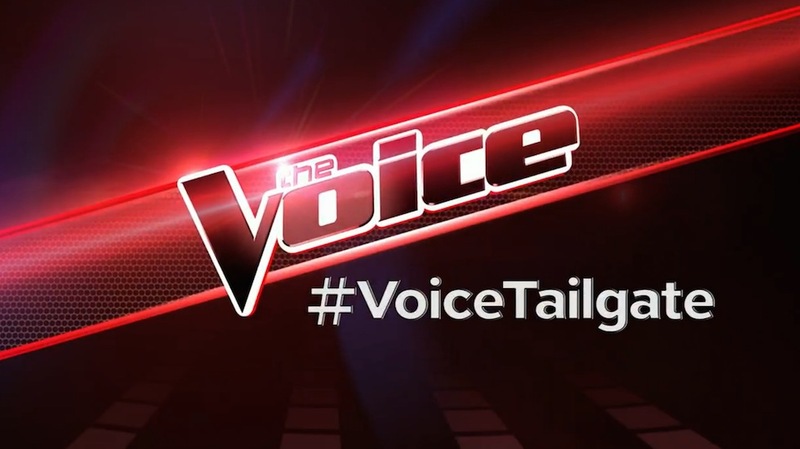 Fans who like to join the party can follow the events on Twitter, Vine, Snapchat, Pinterest, Tumblr, Instagram and Facebook with the hashtag #VoiceTailgate. During the event, exclusive photos and videos and performances of attending guests are posted. Additionally, NBC installed a Vine-featured video room in which a 360 degree swivel was installed to take short videos of attendants and post them directly on Vine. 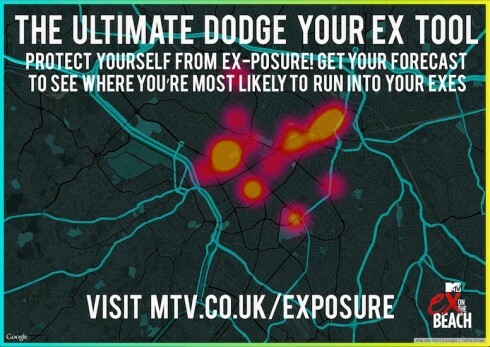 To promote the premiere of its new reality series Ex On The Beach, MTV UK launched Ex-Posure, a map generating tool on MTV’s official website, that lets users detect where they are most likely to run into their exes. The British show centres around eight single men and women that spend a summer holiday on a paradise island when their exes show up to shake things up. First, users have to connect to Facebook so that their profile information and information about their friends can be accessed. One or more Facebook friends, exes, to track down can be selected by typing in their names. To create a map, the Facebook data is matched in order to generate locations where selected persons have been tracked recently. During this process, information about the series’ plot and time of broadcast is being displayed. Orange / reddish dots of different sizes on a Google featured map indicate locations where users have a great chance to encounter their selected persons. A show’s character’s comment can be found on top of the map. The “Ex-Posure Forecast” can be shared on Facebook. Users are also provided with “Ex-Posure Tips” on how to avoid getting recognised or how to behave when running into their exes. Furthermore, MTV UK features an Urban Dictionary entry of “Ex-Posure” on their website. Urban Dictionary is a Web-based dictionary of slang words and phrases that is mostly popular among younger audiences. Additionally, MTV UK introduced Show Us Your Ex Face – a gif maker which allows users to create their personalised reaction gifs about running into ex boyfriends or girlfriends while being on holiday. On May 22, ProSieben will premiere the new interactive competition show Keep Your Light Shining. In the music show, 9 candidates perform against each other by singing a 30 second part of one song, one after another. All candidates are standing in a circle with a spotlight on the currently performing artist. The audience at home has the power to determine who advances to the next round and who will leave. They can vote live for the currently performing contestant by giving a thumbs up or down on the second screen platform ProSieben Connect or at keep-your-light-shining.de. The voting results are presented live in the studio as well as on the second screen. After each round, the contestant with the fewest votes leaves the contest. During each broadcast, one winning candidate will be picked by popular vote.